Series of posters that are advertising a movie restrospective of Wes Anderson. 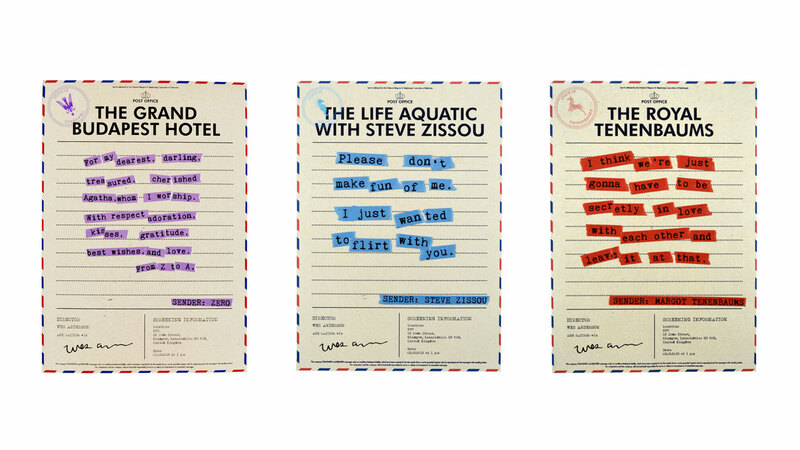 The concept behind these was to transform these posters into telegrams to match Wes Anderson style but also because he is a travel aficonado. Each poster incorporates a quote from each movie. 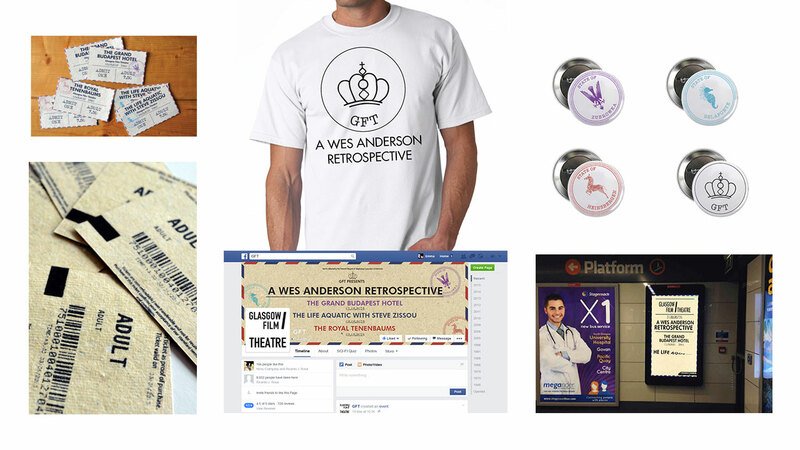 I aslo designed merchandise for the event including a short ad and tickets.